If you’re planning a family day out in London, you have a huge array of activities to choose from, whatever the time of year. 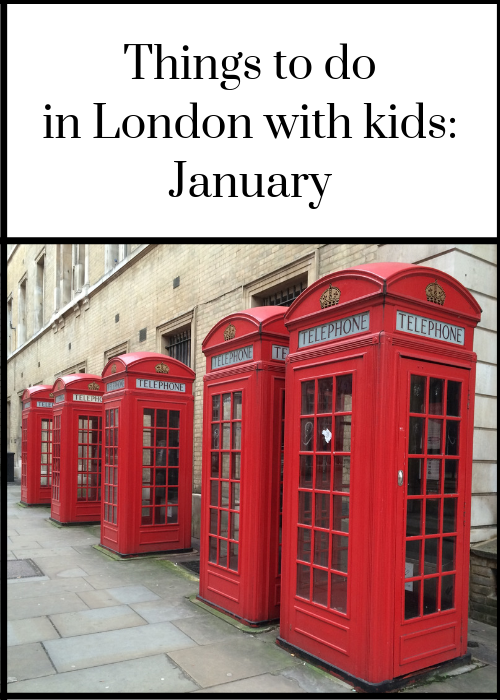 Each month I publish a round-up of some of the best things on offer in the capital for families with kids. Here’s my selection for January 2019. Each year on January 1st thousands of performers take part in a spectacular parade through the streets of London’s West End. Highlights include Pearly Kings and Queens, classic cars, marching bands and cheerleaders. The parade starts from Piccadilly at midday. 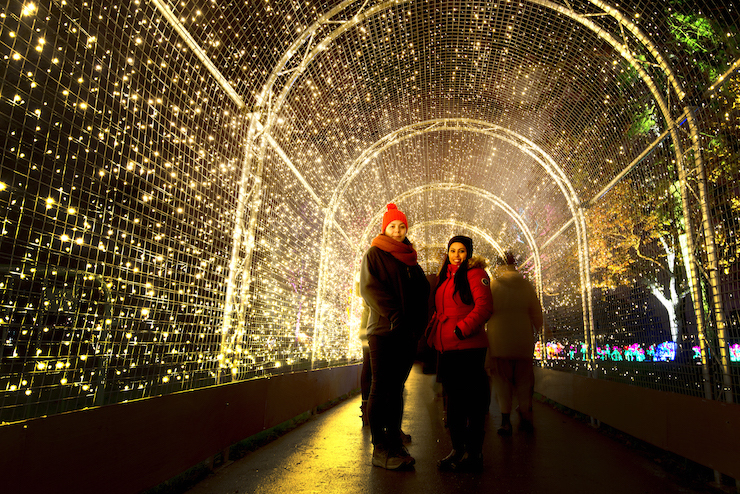 The Royal Botanical Gardens at Kew are lit up after dark with more than a million lights and thousands of laser beams for Christmas at Kew, until January 5th, 2019. Besides the winter trail with twinkly lights through the famous gardens, there’s a fire garden and water projections. There are also some vintage fairground rides, and kids may spot Father Christmas and his elves. Cost: Adult from £16.50, child from £10, under-fours free. Every winter a large area of Hyde Park becomes Winter Wonderland. The attraction offers live shows, a large outdoor ice rink, fairground rides and a Christmas market. There’s no charge to enter Winter Wonderland – you only pay for the activities which you try. It’s best to book ahead for things such as ice-skating and the live shows. Until January 6th, 2019. Cost: Free to enter, pay according to activity. The Winter Festival at the Southbank Centre is on until 6th January. Highlights include live shows, a winter market, and global street food. Cost: Depends on event – access to the market is free. Christmas in Leicester Square is running until 6th January 2019, and offers range of entertainment as well as a Christmas market and Santa’s Grotto. Highlights include Monski Mouse’s Christmas Baby Disco Dancehall, Brat Kids Carnival and The Showstoppers’ Christmas Kids Show!. Cost: Free entry, Grotto from £11.50, tickets for performances vary according to event. The 10th London A Cappella Festival runs from 23rd to 26th January, 2019. The festival draws performers from all over the world and provides learning platforms for singers of all ages and and abilities. Saturday 26th January is LACF Kids Day, and features family-friendly workshops, performances and activities. 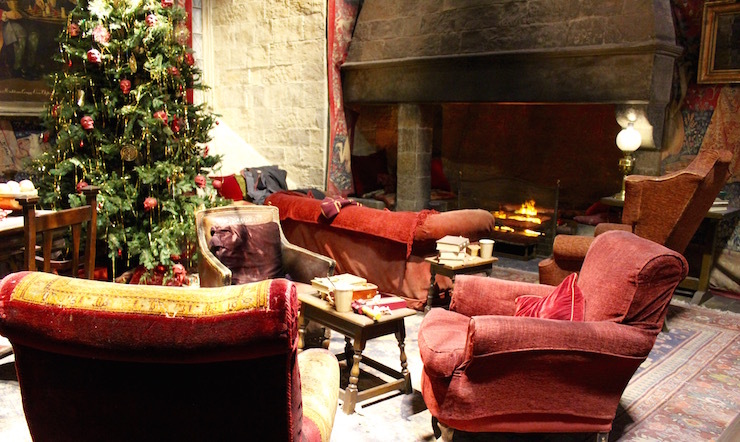 Once again some of the sets from the popular Harry Potter films at the Warner Bros Studio Tour are transformed for the festive season. We loved our New Year’s Eve visit to see Hogwarts in the Snow – here’s my review: Warner Bros Studio Tour: The Making of Harry Potter. Hogwarts in the Snow is running until 27th January, 2019. Cost: From £43 per adult, from £35 per child, free under-fives. The Natural History Museum invites you to put your senses to the test when you visit their Life in the Dark exhibition. You can learn about the lives of nocturnal animals at the exhibition until 31st January 2019. Cost: Entry to the museum is free, entry to Life in the Dark costs from £7.50 for adults, under-16s are free. Some of London’s temporary seasonal ice rinks are still open this month. 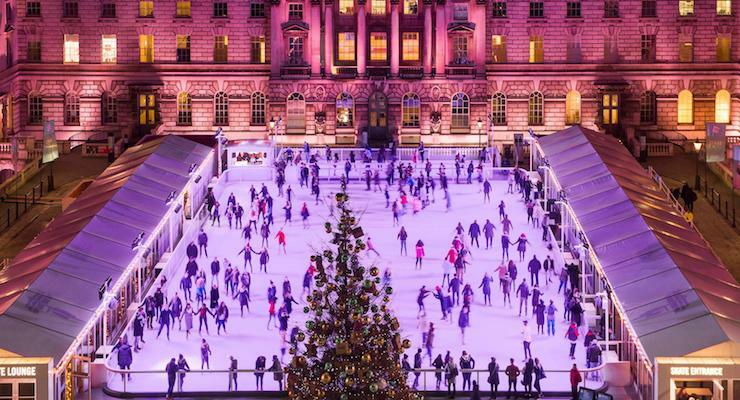 The Somerset House ice rink (my favourite) is open until 13th January. The ice rink at the Natural History Museum is open until January 20th and the one at Canary Wharf is open until February 16th. Read my post on the Best places to ice skate in London for full details. Cost: Varies according to location. You can see Snoopy, Charlie Brown and friends at the excellent Good Grief, Charlie Brown! exhibition at Somerset House this winter. 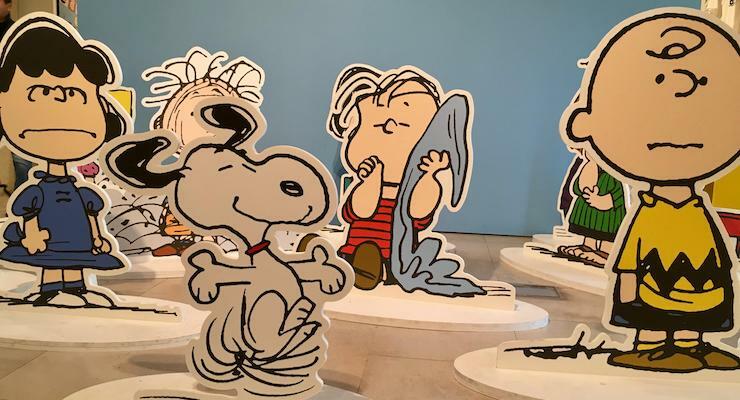 I remember reading the Peanuts comic strips by Charles M. Schultz in my dad’s newspaper as a child, but before visiting the exhibition I had no idea of their ongoing cultural significance, that Lucy and Peppermint Pattie were feminist icons, that there was an actual Snoopy for President campaign in the USA in the 1968 and 1972 elections (now there’s a campaign which is ripe for revival), or that NASA has a Silver Snoopy award for space safety. Fascinating stuff. The exhibition is running until March 3rd, 2019. Cost: Adults £14.00, under-12s free. Great! We are off to London this week and hadn’t realised the ice rinks would still be open – top tips thank you! You’re very welcome – I hope you have a great time. Oh Sculpture in the City sounds great – thanks for your round-up, always very useful.